The Hand Held 4600g HD has been renamed to the Honeywell 4600g HD. The 4600g HD is ideal for use in retail, pharmacy, manufacturing and postal applications. Featuring the right blend of durability, ergonomics and connectivity options, the 4600g is perfect for a broad range of applications requiring the power and versatility of a 2D imager. 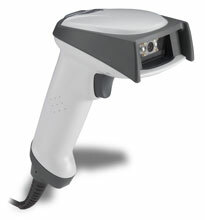 Ideal for use in retail, pharmacy, manufacturing and postal applications. Comfortable and Easy to use - Ergonomic design and Omnidirectional barcode reading capability reduce fatigue and enhance productivity. Multi-Functional Device - Reads linear, stacked linear and 2D barcodes, plus captures digital images, eliminating the need for multiple input devices and capable of meeting diverse data collection requirements. 4600g HD, USB interface, High-Density Area Imager with disinfectant-ready Housing, Straight USB Cable and QS Guide. Color: Gray. 4600g HD, With disinfectant-ready housing and green LED. Color: White. 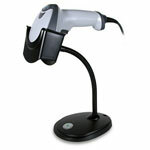 Scanner Only - Cables and accessories must be purchased separately. These include USB (Part# 42206161-01E), PS/2 (Part# 42206132-02E), or RS-232 Serial cables (Part# 42203758-03E) and a Power supply (Part# 46-00525). 4600g HD, High-Density Area Imager with QS Guide. Color: Black. Scanner Only - Cables and accessories must be purchased separately. These include USB (Part# 42206161-01E), PS/2 (Part# 42206132-02E), or RS-232 Serial cables (Part# 42203758-03E) and a Power supply (Part# 46-00525). 4600g HD, High-Density Area Imager with QS Guide. Color: Gray. Scanner Only - Cables and accessories must be purchased separately. These include USB (Part# 42206161-01E), PS/2 (Part# 42206132-02E), or RS-232 Serial cables (Part# 42203758-03E) and a Power supply (Part# 46-00525). 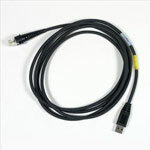 4600g HD, USB interface, High-Density Area Imager with straight USB cable and QS Guide. Color: Gray. 4600 g HD, Includes disinfectant-ready housing and green LED. Color: White. Scanner Only - Cables and accessories must be purchased separately. These include USB (Part# 42206161-01E), PS/2 (Part# 42206132-02E), or RS-232 Serial cables (Part# 42203758-03E) and a Power supply (Part# 46-00525). Power cord, Cable: power cord, power supply to AC outlet, straight, 1.8m (6.0 ft.) - US. Non-Cancelable/Non-Returnable.